more about transforming your smile. sure each smile that walks out our door is happy and healthy. to keep you comfortable and provide lasting results. Since our opening in 1955, we have earned the trust and respect of the Southern Tier community with over 100 years of combined service. Our practice is focused on delivering the highest level of personalized dental care while offering an exceptional patient experience. We believe in combining state-of-the-art dental technology with proven dental treatment and techniques in order to offer our patients the absolute best care while being both cost-effective and time efficient. 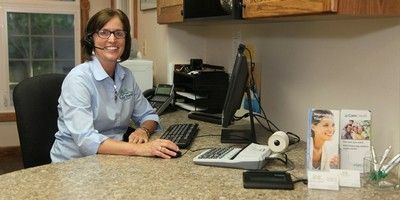 We invite you to tour our web site to learn more about Vestal Dental Associates and see how our patients are the most important aspect of our practice. 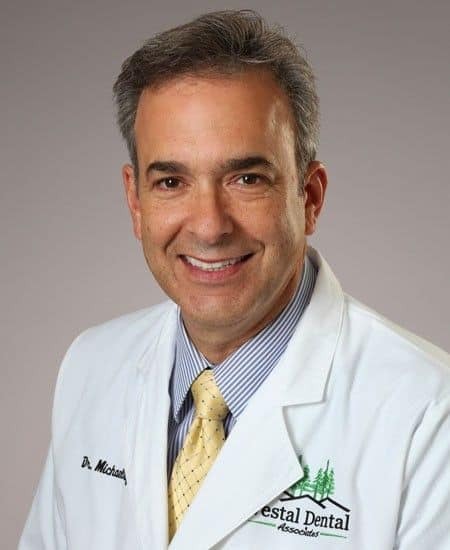 As leaders in the dental profession, Dr. Michael Buglione, Dr. Raymond Buglione, and Dr. Nolan Robinson offer a wide range of comprehensive dental treatments which can protect and enhance your oral health and reveal your beautiful smile. 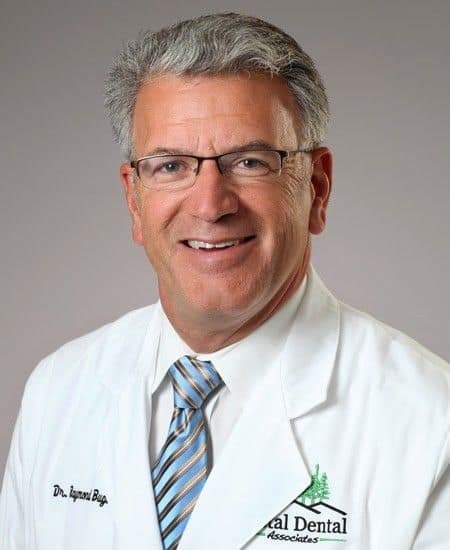 Vestal Dental Associates' warm, caring and experienced dentists share a strong commitment to excellence and are proud to serve the Southern Tier community, where they all have been life long residents. Choose Treatment Bonding/Flling Bone Grafting/Socket Preservation CEREC One-Visit Dentistry Crown or Bridge Dental Implants Dentures Emergency Dental Care General Dentistry Occlusal Nightguards Oral Cancer Screening Pediatric Dentistry Periodontal Treatment Preventative Dental Treatments Root Canal Treatment Sedation Dentistry Sleep Apnea/Snoring Treatments Smile Makeover Consultation Sports Mouth Guards Teeth Whitening TMJ or Neuromuscular Treatment Veneers or Laminates White Fillings Wisdom Teeth Removal Other/Not Sure Weekday Preference Mondays Tuesdays Wednesdays Thursdays Fridays Time Preference Early Mornings Late Mornings Noontime Early Afternoon Mid-afternoon Late afternoon Are You Already a Patient? 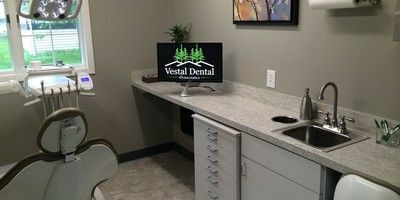 Our Shared Passion serves as the focal point of everything that Vestal Dental Associates stands for, and strives to be in the future. 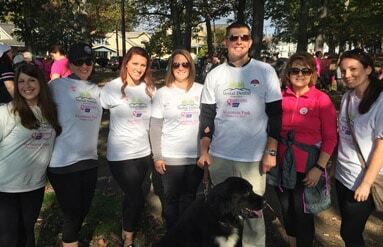 Its purpose is to enhance and positively affect the lives of patients, team members and our surrounding community. Vestal Dental Associates is a people serving business, driven by core values and high ethical standards. We are committed to the acquisition and the sharing of knowledge in order to deliver consistent product and service excellence. We embrace a sense of social responsibility and volunteerism, building a genuine emotional bond by exploring what our patients and the community truly value. Stop worrying about your teeth and bring back your beautiful smile with our cosmetic dentistry services. Get natural, durable crown restorations in one visit with our new CEREC technology. No more anxiety in the dental chair when you opt for treatment in our sedation dental suite. Do you need whitening results fast? If you are a patient at Vestal Dental then you’re in luck as you have access to the powerful Opalescence in-office whitening treatment. This treatment is performed in our office and only takes about an hour to achieve remarkable, professional results. This makes Opalescence a great solution for an upcoming wedding or job interview. The latest addition to our office utilizes cone beam CT scan technology. 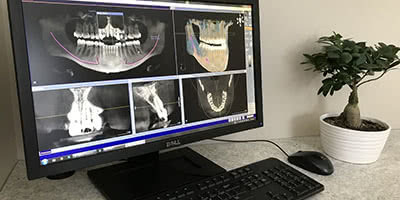 The Sirona Orthophos SL 3D Imaging System delivers sharp three-dimensional detailed digital images of the jaw using much less radiation than conventional cone beams. A 3D image allows our dentists to see much more than what you see on a traditional x-ray, allowing for a more accurate diagnosis. 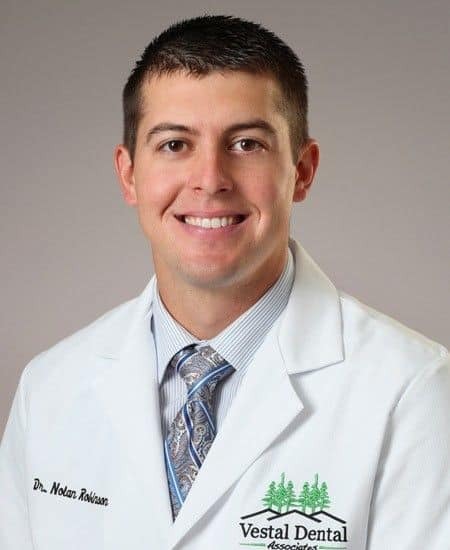 New patients can contact our office at (607)785-3339 to inquire about emergency appointment availability. Emergency appointments require a diagnostic exam and x-rays prior to any treatment being done. How long does it take to get an appointment? The length of wait-time for an appointment may vary based on your choice of dentist, treatment type and your desired day or time of appointment. Our goal is to get you in within days or weeks to fit your lifestyle. What can expect at my first appointment? We like to have a very thorough exam and series of radiographs taken. Very rarely will your teeth cleaning happen the same day, because we would not know how to have diagnosed what type of cleaning you need and what length of time required to schedule you properly. Whenever I go to Vestal Dental, I feel like I am visiting friends. It doesn't seem like I am in a dentists office, everyone is so cheerful and friendly. I have to say I enjoy going to the dentist. 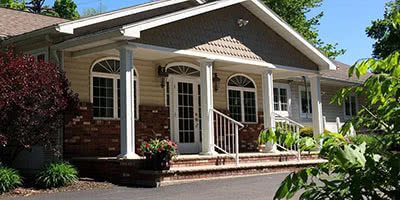 Vestal Dental is a very well run, professional office. The staff are all very friendly and so easy to work with. I have been very impressed with vestal dental since I switched dental offices. I adore my hygienist, Joan, the dentists I have seen and all the front office personnel are efficient and courteous to work with. I do tell my friends about your office! Staff is always friendly, helpful, and professional. Have used Vestal Dental for over 50 years, and never had to have any work redone. If you have an emergency, they get you in ASAP. Highly recommend. Everyone there cares about the patients. I called and explained I was having pain. They made room and had me in the office in one hour. The issue was figured out and they arranged my procedure to be done ASAP. Very satisfied with my treatment and how it was explained to me on what the next step is going to be. I could not be happier being a patient at Vestal Dental. The waiting area and offices are spotless, the office staff is Wonderful; and they even offer fresh-brewed coffee or tea while you wait. I have been a patient of Vestal Dental for many, many years. 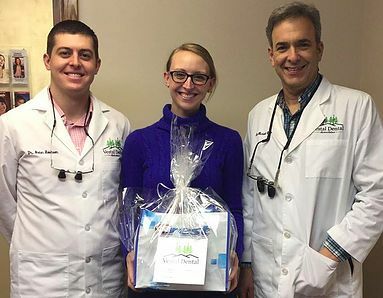 Dr. Mike Buglione, his assistants, and hygienist, Patti, are all totally AWESOME. Dr. Mike can do anything, including bone grafts; and Patti makes each visit very pleasant. I hope and pray they never retire because I'd be lost without them. This is the best Dentist office I have ever been to by far. Everyone there is so friendly and great at explaining everything that is going on. Thanks Dr. Robinson, Stephanie, and Sarah for making my visit a great one. My new crown is terrific! My bite is finally symmetric – I’d been favoring my left side since July. The slight gum soreness and temperature sensitivity are fading fast. It looks great as well – I have to resist showing it off to people unaccustomed to my “oral bouquet”. I have been a patient for many years and have never been disappointed with any of the staff or treatment. I have always been given all the time I wanted to ask questions and received instructive answers. The office employees are all friendly and efficient. I highly recommend anyone looking for first-rate care to call your office. 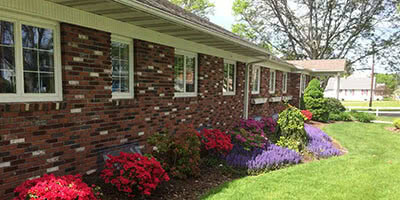 Vestal Dental Associates is located in the heart of the community at 533 Clayton Avenue in Vestal NY. View map & directions. Copyright © Vestal Dental Associates. All rights reserved.